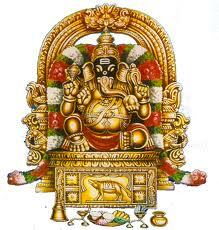 Ganesh is known as the Lord Vinayaka and is an important God as per Hindu mythology. He is worshipped before any puja or any task as he is the Vignadhata or the lord who removes all the obstacles from the path of success. 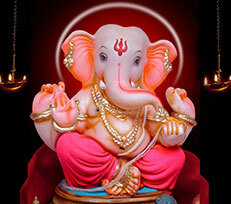 There are many legends associated with Lord Ganesha. One of the popular one is this. It is said that Lord Parvati wanted a child. She once before taking a bath took out turmeric from which she used to take bath, collected it at one place and built a small child out of it. She started loving and protecting him like her own child. One day while she was taking a bath, the child stood near the gateway and acted as a gatekeeper preventing anyone from entering into the arena. Just at the same time Lord Shiva came to the spot where he was stopped by the small child. Lord Shiva got very angry and proclaimed that this was his house, however, the child did not deter from his mission of not allowing anyone to enter while his mother was taking a bath. After repeated trials Lord Shiva got angry and put up a fight with the child in which he beheaded him. Goddess Parvathy came out, saw the dead child and started crying. She explained everything to Lord Shiva. Then, Shiva decided to restore back life to the child. He sent someone and asked him to get the head portion of the first living being that he sees as per the first rays of the sun. He saw an elephant, cut his head and brought back. 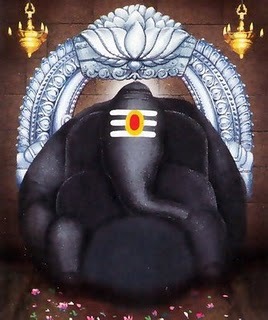 This head was then placed on the rest of the body and ever since he has been worshipped as Lord Ganesha. Lord Shiva also gave him the boon that no puja would be complete without worshipping him and a puja could only be successful if initially he was worshipped. 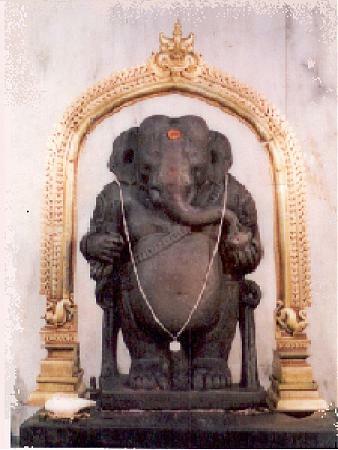 Some of the most famous temples dedicated to Lord Ganesha are Ganpatipule in Maharashtra, Siddhi Vinayak Temple in Mumbai (Maharashtra), Ranthambhore Ganesh ji in Rajasthan, KarpagaVinayakar in Pillaiyarpatti (Tamil Nadu), RockfortUcchiPillayar in Tiruchirappalli (Tamil Nadu), ManakulaVinayagar in Pondicherry, MadhurMahaGanapathi in Kasaragod (Kerala), Ganesh Tok temple in Gangtok (Sikkim), KhadeGaneshji in Kota( Rajasthan). There are also 8 shrines located within the periphery of Pune which are very famous and attracts thousands of tourists and devotees to this place. They are he eight shrines Morgaon, Siddhatek, Mahad, Pali, Theur, Ozar, Lenyadri, and Ranjangaon. Some of the prominent puja festivals which are observed annually on a grand scale are Ganesh Chaturthi which is usually observed in the months of August or September and GaneshaJayanati which is held in the months of January or February. These are observed annually and are celebrated with great pomp and grandeur. Modak the favorite savory of Lord Ganesh is offered to him along with sandalwood paste which is red in color and dhoop grass. Chants and hymns often accompany the ritual procedures. 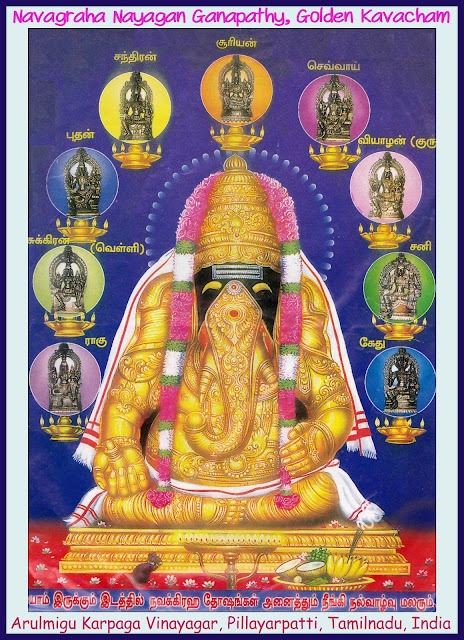 Ganesh puja is also considered to be very auspicious since he is known as Vighnadhata and hence before taking up any task, Ganesha puja is done initially for the smooth running of the desired task.